Photo: Rep. Gilliam honored by Warner Pacific leadership. Photo: Dr. Cook w/ Joyce Coleman (ORCC board). 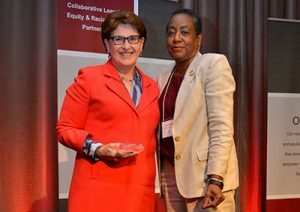 On Wednesday, April 13, 2016, Warner Pacific College was presented with the Education in Equity Award from the Oregon Campus Compact at their 20th Anniversary Celebration. Warner Pacific College President Dr. Andrea Cook was recently named a 2015 Orchid Award Winner by the Portland Business Journal, which will honor her during their “Women of Influence” awards ceremony on Thursday, April 16. 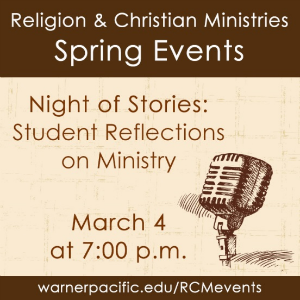 Discover how God is moving in and through seniors in the department of religion & Christian ministries and how Warner Pacific College is preparing students for ministry in a constantly changing world. 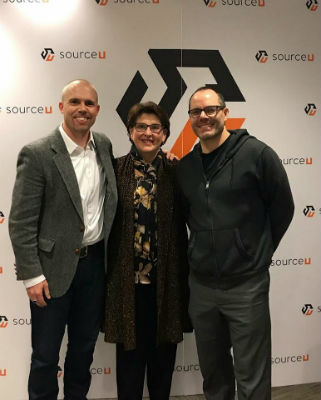 • Wednesday, March 4, at 7 p.m.
Warner Pacific student Sean Musaeus wins video scholarshipCopyright: the legal right to be the only one to reproduce, publish, or sell the contents and form of a literary, musical, or artistic work (Merriam-Webster). 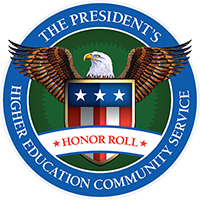 Warner Pacific College was named to the 2014 President’s Higher Education Community Service Honor Roll with Distinction by the Corporation for National & Community Service (CNCS). This is the highest honor a college can receive for its commitment to volunteerism, service-learning, and civic engagement. 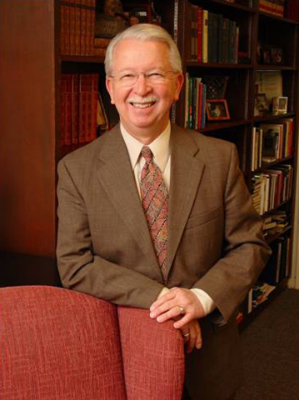 For more than twenty years Dr. Otto F. Linn served Warner Pacific College as professor and academic dean. His path-breaking career spanned the Great Depression and the Space Age. 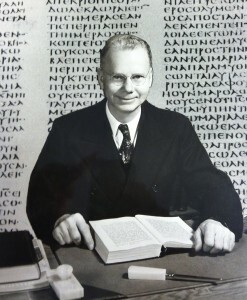 He introduced his church to the academic study of the Bible, inviting criticism from powerful traditionalists. But Linn was convinced that the church’s ministers should not let others do their thinking for them. His personal faith merged scholarship with warm-hearted piety, providing for his students and church ministers alike, a splendid example of the blend of academy and church. 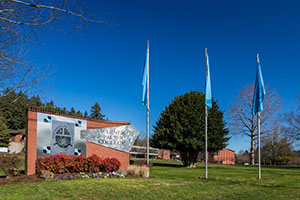 Warner Pacific College (SE Portland) is welcoming a record number of 250 new freshmen and transfer students to campus during the 2014 Welcome Weekend beginning Saturday, August 23. 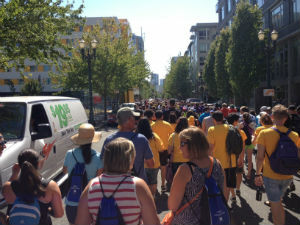 Photo: Warner Pacific is working hard to make education affordable and accessible. I was pleased to see the [Oregonian] editorial staff clearly lay out the benefits of investing in a college education. Having worked in Oregon higher education for 25 years, I have witnessed its changing landscape and have walked alongside students experiencing the trials and triumphs of earning their degree. One important area that the editorial board did not touch upon, is the need to increase graduation rates among students from diverse backgrounds and those who will be the first in their families to earn a degree. With our state’s rapidly changing demographics, the fastest growing population segments; low-income, first-generation, and minority youth are the least likely to earn college degrees. We reduced tuition by 23% in 2008, and have worked to keep our tuition increases lower than the average increase level nationally each year. 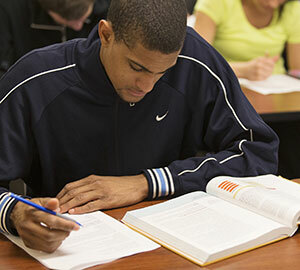 Our tuition and fees are 33% lower than other private colleges in the Northwest. The College provides 10 full-need scholarships each year to emerging urban leaders through the Urban Service Track of the Act Six Leadership and Scholarship Initiative. We are improving persistence and achievement through academic, spiritual, vocational, and mentoring support so that students not only enroll, but succeed in graduating. Our faculty is exploring innovative teaching strategies to address the specific needs of students coming from generational, working class, situational, and immigrant poverty. This multi-dimensional approach is working. In 2013, 53% of our first-year traditional undergraduate students identified as persons of color. 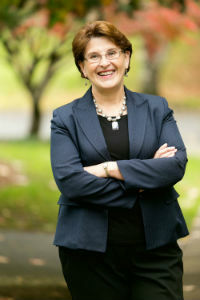 As our institutions continue to serve a student body that includes many who are the first in their family to go to college, who demonstrate high financial need, and who are from diverse backgrounds, it is important that we provide students with the tools they need to confidently manage the financial realities of completing a college degree. We also need to recognize that it often takes graduates some time to build their income capacity after completing college, which is why Warner Pacific launched “Freedom to Flourish,” a groundbreaking loan repayment assistance program for incoming, first-time freshmen who enroll in the traditional undergraduate program beginning in the fall of 2014. The first program of its kind in the Portland Metro area, “Freedom to Flourish” provides assistance for all federal, private, and parent PLUS loans to students who earn less than $37,000 a year after graduation. Commitment to diversity in higher education cannot stop at enrollment. Institutions must take the time to work closely with students and their families, ensuring that their needs are being met financially, academically, socially, and spiritually. 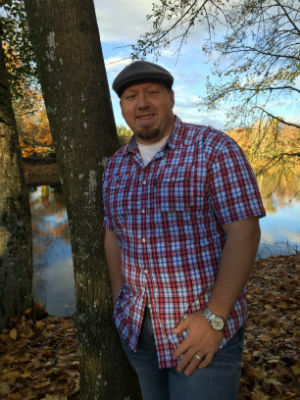 Dale Seipp, Jr. serves as vice president for enrollment and marketing at Warner Pacific College. Founded in 1937, Warner Pacific is a Christ-centered, urban, liberal arts college dedicated to providing students from diverse backgrounds an education that prepares them to engage actively in a constantly changing world. 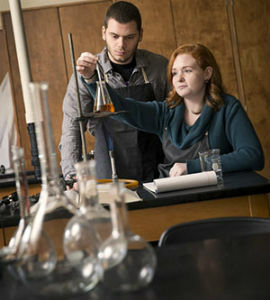 Learn more at www.warnerpacific.edu.